I am pleased to announce the release of “Reckless Abandon” Book #2 in the November Blue Series as I adore Andrea! If you have not read these books yet, what are you waiting for? Make sure not to miss anything good below ~ my spoiler-free review ~ teaser to Reckless Abandon ~ AND enter the AWESOME GRAND PRIZE GIVEAWAY being offered by Andrea at the bottom of this post! NOW AVAILABLE ON BARNES & NOBLE!! Ten Days of Perfect – gets a 4 on Brandee’s Book Endings ratings – which means I REALLY liked it (something definitely captured me). 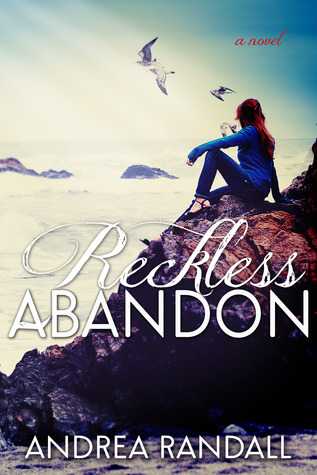 Reckless Abandon – gets a 4.5 – which is between I REALLY liked it and 5 – I LOVED it (did not want to put it down, could not stop thinking about it). Reckless Abandon is the second book in the November Blue series. You really do have to read Ten Days of Perfect to follow along, as Reckless Abandon picks up right where Ten Days of Perfect left off. As you may already know by now, I liked Ten Days of Perfect (which left me wanting more of the story)….and you will get that MORE in Reckless Abandon. 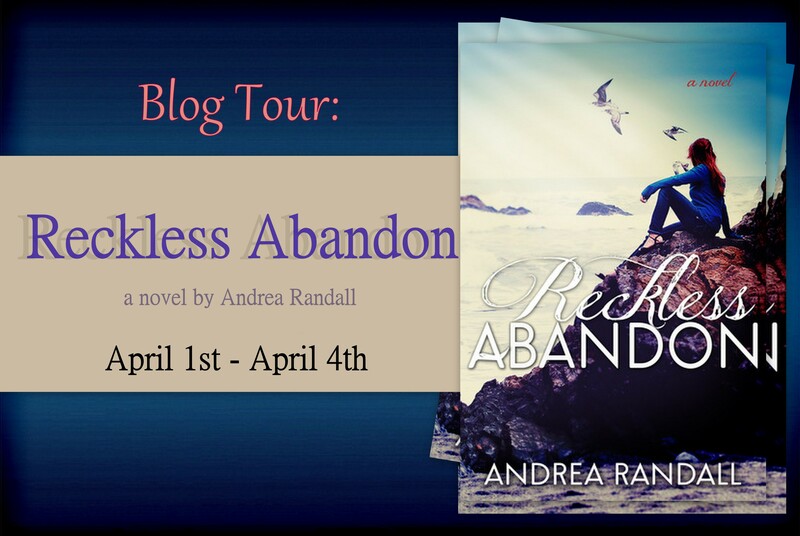 I really LOVED reading Reckless Abandon, as this was Andrea’s second novel and there was not only growth in her writing from Ten Days, but she had me very invested in the characters which led me to writing her to say “What the….Why…..Seriously…..and OMG you are KILLING ME”! Reckless Abandon brought out emotions in me that I did not realize I had for these characters! As I told Andrea if I was not reading this book in PUBLIC, I probably would have been a crying fool! I wish I was alone while reading so that I could have let the book take the full effect of my emotions ….but we all know……you read when you can read! PLEASE NOTE: At all costs, avoid any spoilers of this book – because some tend to give you spoilers and I would REALLY recommend and hope that you get to them on your own, as it changes your reading experience. I want you to read and feel how I felt when I read particular scenes. Let me start off asking you….after reading Ten Days of Perfect……Team Bo or Team Adrian? Then let’s ask and answer that same question after you read Reckless Abandon! So, does this spoil anything for you? I sure hope not! 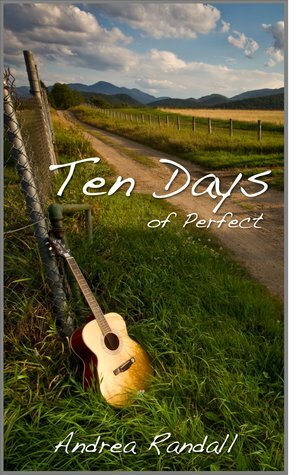 The answer to the burning question most of you had after reading Ten Days of Perfect is…….YES! We are getting more Bo! However, you have to read to find out if you are getting exactly what you asked for! November Harris is lost. After a failed romance with musician Bo Cavanaugh, Ember is left struggling to regain her true self. The problem is, Bo won’t go away and Ember’s stance is firm—she doesn’t want him back. Adrian Turner, Ember’s ex-boyfriend-turned confidant, is patient with her heartbreak, but he can’t hold back his own feelings forever.As she sorts through her past, in an effort to plan a solid future, Ember will find that sometimes even the best laid plans bow to the soul’s desire for reckless abandon. For all you Team Adrian ladies, you will get plenty of Adrian to get your fix. I am Team Bo, I am not ashamed to say…..there were times I was not happy about how things were being played out with Adrian…that is putting it mildly….but holy Adrian! I get the appeal…..and I do feel guilty for not feeling more Team Adrian….because he does not deserve all “my” anger towards him. If Bo was never in the picture I would totally be on the Adrian Team! Being I am a sucker for the whole love at first sight/soul mate thing that we were presented with in Ten Days (even though some tend to find that far-fetched and are not believers…and I agree that in some books it is totally overdone…. BUT I am a believer, not to say that you realize that person is your soul mate at that time necessarily, BUT when I saw my husband for the first time I did say “I am going to marry that guy”. I cannot deny the pull I had to him at that moment or that the whole Romeo & Juliet story we lived was not intense, but we did and do have to work at it every day. 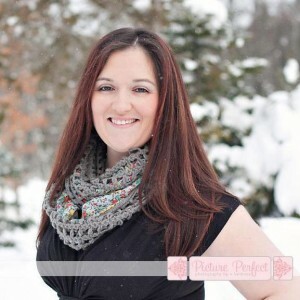 So, why are you still reading my review…..go get reading these books and then come chat with me! Since I featured Andrea between the release of Ten Days and Reckless Abandon and I am a follower of hers, I have a bunch of answers to questions…..are there going to be more books? If you want to be let in on these NOT so secret answers, you can always ask me! But I would suggest that you go join the Randall’s Readers group on Facebook! And if you are looking to be a part of a FUN (and sometimes NAUGHTY) group, this is the one for you. There are sometimes the posts have me laughing so hard I am crying. CLICK HERE to go join and don’t miss out on any of the FUN! Before he can respond, the bartender takes the stage and announces Bo. My fingers tingle and I feel slightly dizzy. I notice that Rae is staring at me and am thankful that Regan isn’t. I tilt my chin to the stage to somehow reassure her that everything’s fine. Bo comes out wearing black jeans and a green t-shirt. The green t-shirt he told me reminded him of my eyes. I swallow hard as he sits on the stool and, without saying a word, starts strumming. Every feeling from the first night I heard him play flies through me like a drunken seagull. I take several deep breaths as he makes his way through his original work, praying that what I’m feeling isn’t regret. The strings, his fingers, the warm bourbon tone kissing the microphone; they’re all lulling me into his presence, his being. I started writing poetry long before writing fiction. I firmly believe Poetry is a solid foundation for all other forms of writing. It taught me that a single word can make or break the world.I write fiction because my characters have a story and they want me to tell it.I hope you enjoy the pieces of my soul that I share with you. One winner will win a signed copy of RECKLESS ABANDON, TEN DAYS OF PERFECT & IN THE STILLNESS.